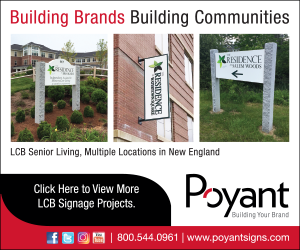 Somerset, MA – DiPrete Engineering recently obtained local permitting approval for a development which includes a new Fairfield Inn & Suites by Marriott, along with three retail/restaurant pad sites in Somerset. Developer of the hotel, High Road Hospitality, is in the process of purchasing the land from the town of Somerset. The developer teamed up with DiPrete Engineering, who provided the project’s planning, design, regulatory permitting, surveying, and project management. With the potential for construction to commence this fall, the expected completion date is early 2020. Located on 14 acres at 500 Grand Army of the Republic Highway, Fairfield Inn & Suites by Marriott will be minutes from RK Swansea Place, Fall River Industrial Park, an Amazon distribution center, downtown Fall River, and a number of other businesses. The new 111-room hotel will include a meeting room, indoor pool, and fitness center. “Following the recent shutdown of the Town’s Brayton Point Power Station and the job losses it caused, everyone is really excited to see this project come to life,” said Brandon Carr, Project Manager at DiPrete Engineering. Carr led the design team and project consultants.